Our 1 Bedroom Spa Suite is ideal for couples. 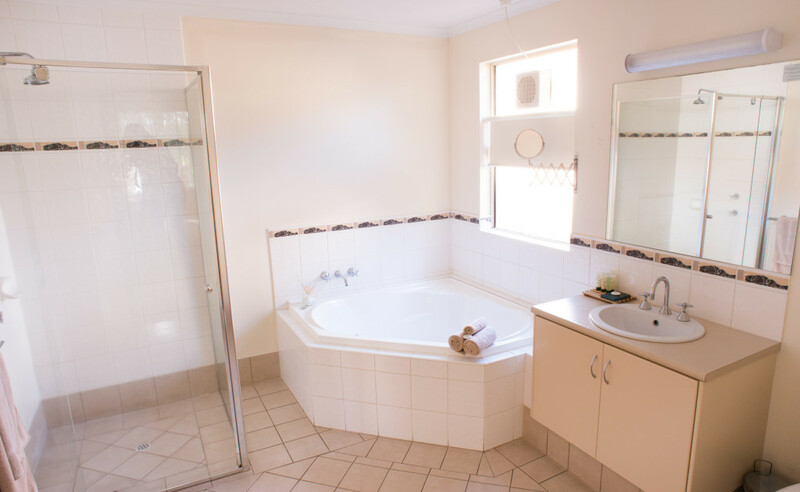 The bathroom boasts a washer/dryer, clothes airer, walk in shower and a corner spa. Your kitchen is fully equipped with a full sized fridge, 2 burner ceramic hotplate , dishwasher and microwave. 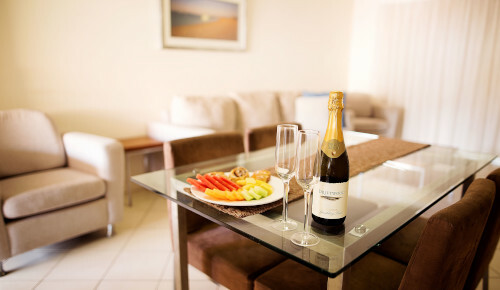 Complete with crockery, cutlery,cooking equipment & utensils and dining table, you will be completely set up to create wonderful meals during your time with us if you choose to cook for yourselves. The living area has a comfy couch, flat screen television wih Foxtel (free) and a DVD player to ensure that you can relax comfortably during your down time. Cook up a barbecue on your private balcony, enjoying the late afternoon sun (and possiby a wine) and unwind from the adventures of the day. The main feature of each of these stylish and spacious spa suites is the large corner spa, a essential element to your relaxing and unwinding holiday.